If you receive more financial assistance than you are eligible for, this is called an overaward. Overawards are automatically deducted from any future student loans. If you have received an overaward, you will be notified. Why do I have an overaward? How does an overaward affect my student financing? How do I repay my overaward? 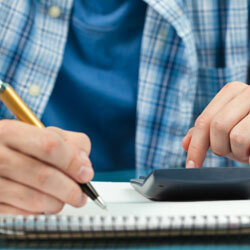 A reassessment of your original StudentAid BC application. Your file being restricted due to a review of the information you provided. Your withdrawal from courses putting you below 60 per cent of a full course load (40 per cent for students with permanent disabilities). If you have received an overaward, it will affect your eligibility for student financial assistance. Canada student loan overawards of $250 or more will be deducted from any new Canada student loan funding. B.C. student loan overawards, regardless of amount will be deducted from any new B.C. student loan funding. Any grant overawards must be fully repaid before you can receive further grants and/or provincial loan funding. To adjust an outstanding Canada-B.C. integrated student loan overaward, you must direct your overaward payment to the National Student Loans Service Centre (NSLSC). Your payment will automatically be split between both your Canada student loan (CSL) portion and your B.C. student loan (BCSL) portion according to the percentage of each of your loans. If you are in study or in non-repayment, or are planning on returning to school, you will need to advise StudentAid BC that the overaward payment was made otherwise it may impact your eligibility for future student financial assistance. If you have an overaward on both your CSL and BCSL, and your payment does not cover both overawards, you will need to advise StudentAid BC how the payment is to be applied. If StudentAid BC is not advised of how the payment should be applied, the payment will be applied to the BCSL overaward first and the remainder will be applied to the CSL overaward. If you have a grant overaward, please contact Revenue Services of British Columbia about repayment. Do not repay a grant overaward at a bank or by any other means.